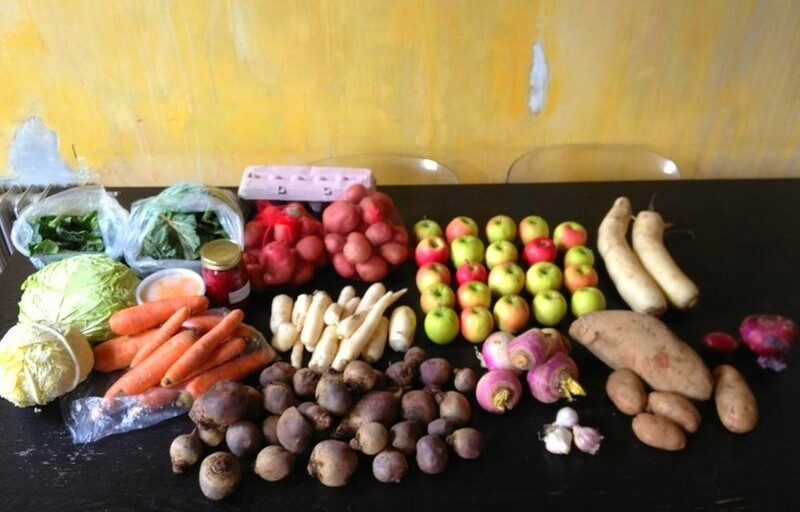 Winter CSA Pickup #3 – February – ugly food tastes better. HOLY BEETS. What a big haul! Excited for turnips, i love them so…And FINALLY a decent amount of potatoes! YAY! Stay tuned for what happens with all this fresh and yummy goodness! I fail to understand why you keep posting all these pictures of food that I’m not eating. Why am I sitting over here hungry? Feed me, Seymour! Feed me all night long! (i got really, REALLY excited at the little shop of horrors reference)…. That is an enormous share! I have turnips and carrots this week also and am planning a curried soup with them. Did you get parsnips too? Another “nip”! No parsnips unfortunately, this has been the biggest winter haul yet, it is MASSIVE! I don’t even know what to do! holy moly! where are you located that you’re getting so much at this time of year?? jealous! Brooklyn, baby! I am making a giant soup with all of it, as I am crazed with work, haha.